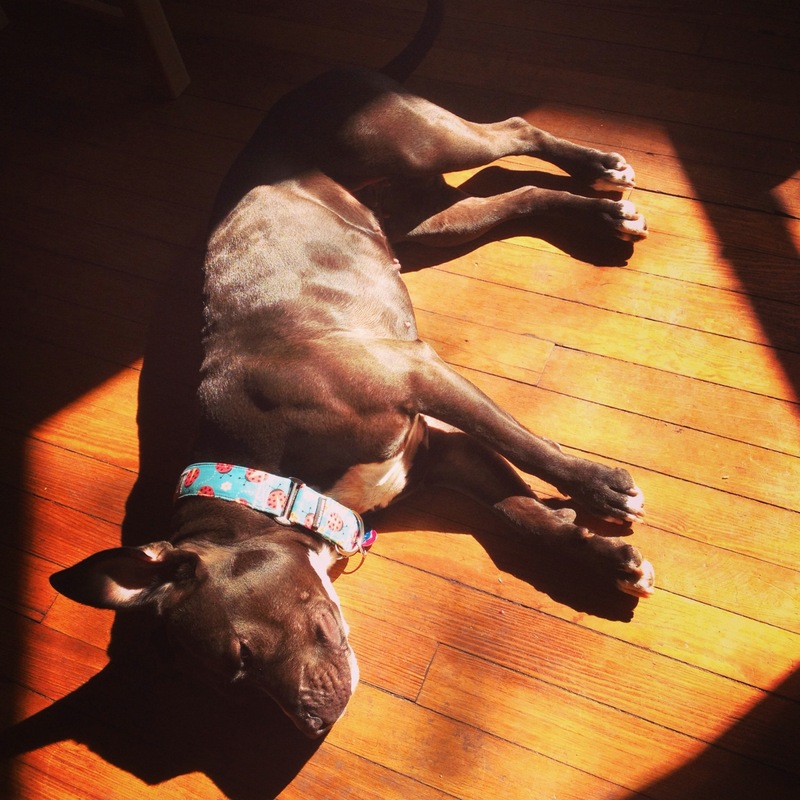 Back in January I wrote all about Rudy, my friend Eran’s foster dog. Eran even wrote a guest post on what it was like to foster for the first time. 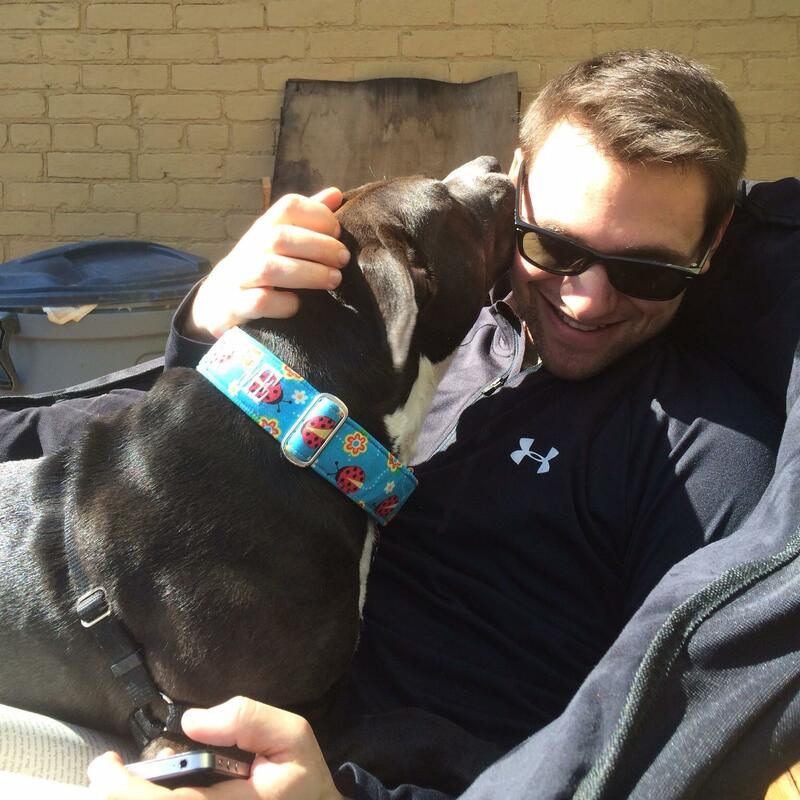 Since those posts, Rudy has been adopted and Eran and his roommates have brought another foster dog home. Her name is Lady Bug and she has proven to be quite the awesome little (not actually little) dog. Eran fostering Lady Bug has been the closest I’ve come to the fostering experience since I handed Johnnie’s leash over thirteen months ago. Eran pulled me into the process as he and his roommates began to look for a new dog, so I have been working with them from the beginning. Knowing what his house’s needs and wants for fostering were, I hooked them up with Jasmine’s House. Jasmine’s House would allow them to pull a dog from a shelter and bring that dog into the rescue program. Eran and I went to the Washington Humane Society to look at possible foster dogs – an opportunity I hadn’t really ever been a part of because my foster dogs always had a way of finding me versus me picking them. It was overwhelming to have rows of faces as options, each one wagging and saying, “pick me!” Eran and I would go over each dog and talk about their personality, the pros and cons, the potential that they would fit in with a busy house of six young guys, etc. It was daunting. How could we predict the way these animals would act in a home environment? I, having worked with shelter and foster dogs for years now, know what could go wrong, and while I tried not to be too pessimistic, I felt like I needed to bring up the “what ifs.” The WHS staff and volunteers were wonderful in helping us sort through the options. 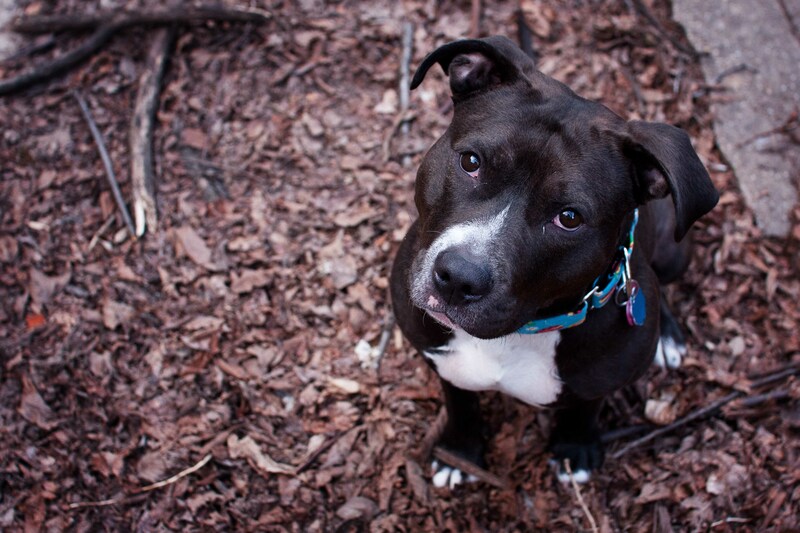 After lots of back and forth about what dog to bring home, Eran and his roommates ended up deciding on a three year old black pittie named Lady Bug. She was actually at a different shelter location than the one I went to so I never even met her, but he and I had had so many discussions about what to look for in a potential foster dog I was sure they made a good decision. It was their dog, not mine, after all! Eran reported that she was very outgoing and friendly, she wasn’t mouthy or too jumpy and that she had a BFF that she played with at the shelter named Oink. That’s about the best we can ask for, right? They were totally in love with her soft fur, stocky body and wonky eyes. I have to admit she is pretty endearing. Just like when I brought Zabora, Baxter, Otis and Johnnie home, I held my breath with Eran the first few days and nights after they brought Bug home. What would she be like once she got into a home? What part of her behavior was her true personality and what was still hidden from the stress of the move? What challenges would arise as she settled in and decompressed? She’d been at the shelter since December, so it was anyone’s best guess how the stay affected her. As expected, it felt like something changed every day that passed with her. The first weekend she was had some episodes of fear-based reactivity. We immediately started counter conditioning. Luckily Eran and his roommates are fabulous at taking advice and they care deeply about Bug’s well being, so improvements happened quickly. Then Lady Bug started having episodes of hyperactivity where she would become barky and mouthy. We brainstormed endless ways to manage her and be proactive about curbing the episodes. Lady Bug got food puzzles and Kongs and long walks. When that didn’t really help, we decided to take her to the vet. After putting her on a careful chicken and rice only diet, her inappropriate behavior has practically disappeared. Maybe it was a food allergy or maybe she just settled down, but either way she has become quite lovely – and her skin and coat have improved tremendously! Amid all of these changes, she also started to dislike her crate. 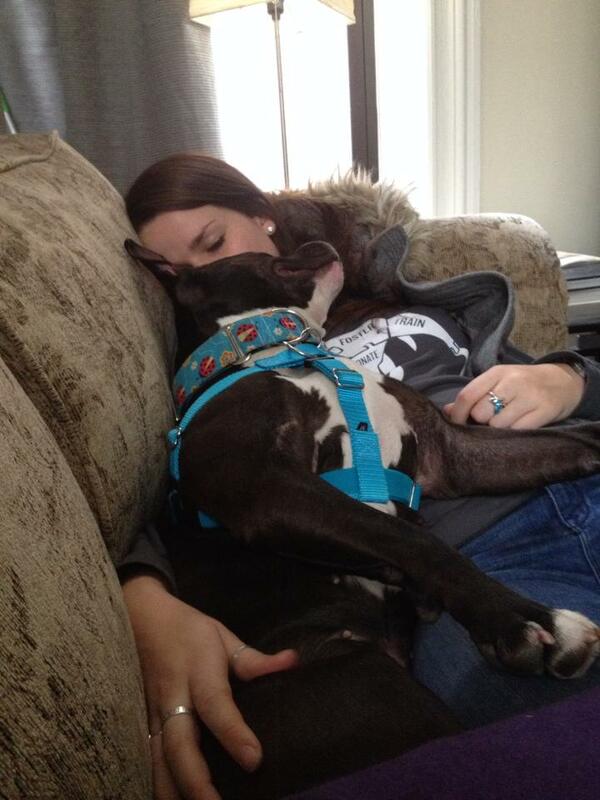 Like many foster dogs, the challenges felt like they might never end. We had to keep in mind that this transition is difficult and stressful for her, and that we needed to be understanding of her needs. Talk about a refresher on being patient! I am happy to report that after being in their home for about five weeks, Bug seems have worked through most of her issues, and she is turning into one of the friendliest, snuggliest, happy-go-lucky dogs I’ve ever met. It has been so rewarding to watch her settle in and become more comfortable with her surroundings. Now she seems happy to just snooze the day away with her (six!) boys. She has learned sit, down, touch and mat through clicker training. Her fosters are so awesome and have taught her that she can feel safe where she is. No matter if they are hanging out around the house, having strangers visit, doing training, etc. – Bug knows that her boys won’t hurt or scare her, and they will keep her safe. There is so much trust among them, and I’m very proud of all the roommates for facilitating that! I didn’t realize how much I missed fostering until I became so attached to Bug throughout this whole process. It reminded me how invested you become when you worry so much about another creature, and they are not even yours! I’ve enjoyed working with Bug’s fosters along the way and getting to use my new knowledge to help them help her. Though I’m not sure I’m looking forward to the familiar heartache of letting her go once she finally gets scooped up! 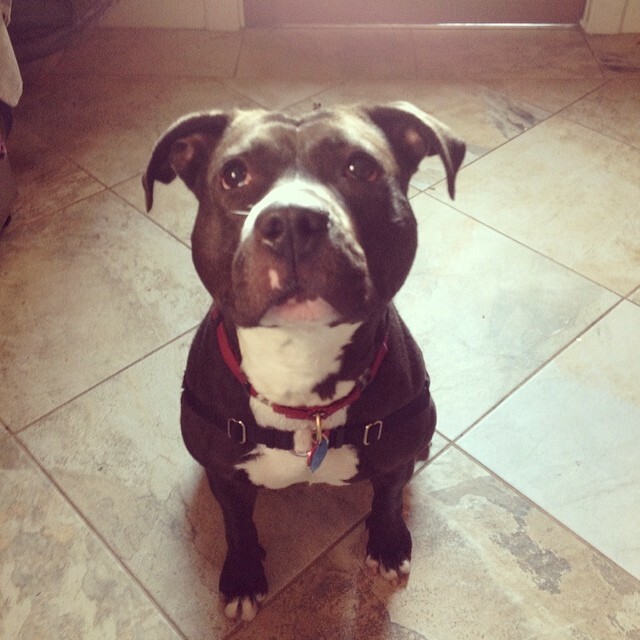 This entry was posted in Dog training, Photography, Rescue/Humane Society, Uncategorized and tagged black pit bull, Bug, clicker training pit bulls, DC foster dogs, fostering, jasmine's house, Lady Bug, pit bull, positive training, Sirius Republic collar, Washington Humane Society. Bookmark the permalink. 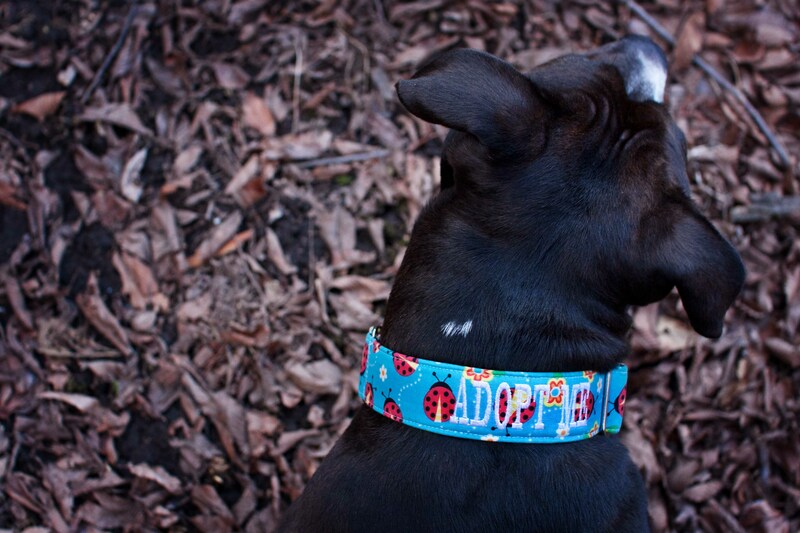 So, random question…I’ve noticed more dogs wearing their harnesses 24-7 lately. Is this a new thing? Eh, I don’t think so. Preference thing. For specific situations they leave her leash dragging and I think they liked it attached to her harness better. She doesn’t have it on as much anymore, but probably not for any particular reason lol. Please tell me what you did to help her fear based reactivity. I have a new dog adopted in January with this issue and haven’t gotten a handle on it yet. She’s super relaxed inside but outside she’s quite nervous. She’s 5, was bred and I believe she had a pretty small life before I got her. Thanks! Hey Trish! I would definitely recommend consulting with a CPDT-KA certified trainer in your area who can assess what’s going on in person. It’s pretty important to start changing her associations with things that scare her, and a professional trainer will walk you through how to do that using stuff she already loves (food!). Good luck! I am working with a trainer and using food rewards I guess I can’t expect an overnight turnaround, but I still don’t see it helping with some of her fixations. She sometimes takes the treat and goes back to being fixated. :) Will keep working on it. Yes, please! I actually got a call from a friend that has a dog with some fear-based reactivity (e.g. snapping at humans when she’s startled), and I gave him some advice, but am looking for more resources for him! Also, they are in Charlottesville, VA and I would love to reference them to a good trainer in their area! http://Www.caninecampus.com is a great CPDT-KA trainer in Charlottesville! Hannah, see the comment above from onedoglife! I love reading your posts. Thanks for sharing, as always! Another beautiful story. I love reading your posts, too. You are incredible.